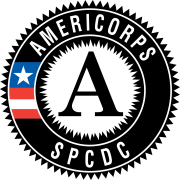 Member Duties : Two (2) Full-time and two (2) Half-time AmeriCorps member positions are available. The Construction Coordinator Aide (FT) will assist with the coordination of PHFH's construction schedule and onsite construction material logistics. The Neighborhood Development Project Assistant (FT) will build upon PHFH's neighborhood programs by fostering relationships, shaping and supporting programs that engage homeowners, volunteers and community members to help achieve neighborhood program objectives. The service opportunity will include the use of NeighborWorks surveys, GIS tools and community data analysis to document and measure program results. The Project Coordinator Aide (HT) and Home Preservation Aide (HT) will facilitate PHFH's Energy Star and Home Warranty Programs under the guidance of the Construction Project Manager which includes the coordination of homeowners, volunteers and community members on home maintenance, energy and green living awareness. Program Benefits : Training , Childcare assistance if eligible , Health Coverage , Education award upon successful completion of service , Living Allowance . AmeriCorps is the domestic version of the Peace Corps. AmeriCorps Members dedicate one year of their life to serve communities throughout the United States that are in need. For this year of dedication, individuals earn a living stipend, education award, and more! SPCDC AmeriCorps Members serve in all aspects of the agency's work. Duties range from working in the SPCDC Food Pantry, case management in our homeless men's shelter, and mentoring students in after school and summer programs throughout the City of Paterson, NJ. SPCDC offers its members different benefits based on a member’s level of commitment. *Full-Time Members commit to serve 1700 hours (approximately 35-40 hours per week). *Part-Time Members commit to serve 900 hours (approximately 20-25 hours per week). Terms : Permits attendance at school during off hours , Uniforms provided and required , Permits working at another job during off hours . Service Areas : Neighborhood Revitalization , Housing , Community Outreach , Community and Economic Development . Skills : General Skills , Social Services , Trade/Construction , Communications , Architectural Planning , Non-Profit Management , Urban Planning , Business/Entrepreneur , Computers/Technology . Service Description : Paterson Habitat for Humanity (PHFH) is an Energy Star Certified, Community Builder striving to serve as many families as possible with sustainable homeownership as a catalyst for community transformation.